(1)This Carbonated Beverage Filling Machine is a unique design combining the three machines of bottle washing, filling and capping in one to decrease main power, to save space and to diminish the air pollution among the three machines. (2)Carbonated Beverage Filling Machine is applicable for carbonated drink filled in plastic bottles and capped with plastic caps, with optional capacity from 3000BPH to 18000BPH. 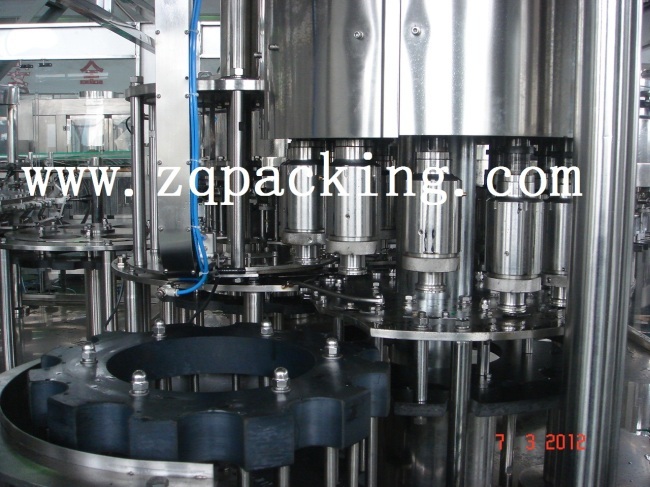 (3)Carbonated Beverage Filling Machine is easy to change the shape of bottles, which can be done by changing the thumb wheel without adjusting the height of the machine. (4)Adopting suspensory transmission gear can easily upkeep and be repaired. 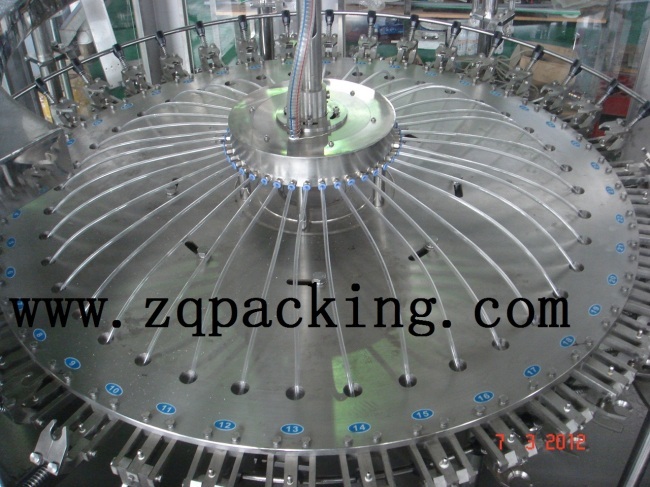 (5)The machine case and the parts contacting with the materials are made of stainless steel which ensures the good external look and easy washing. 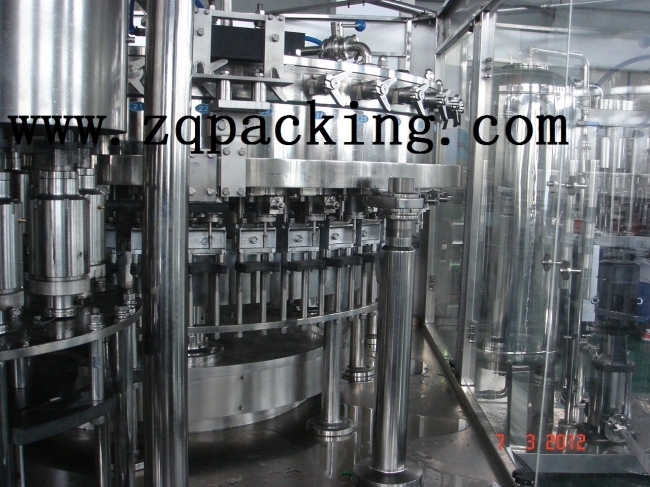 (6)Carbonated Beverage Filling Machine uses frequency changer to control the main machine motor. And it has an output number indicating function which is easy to control the adjustment of the output.